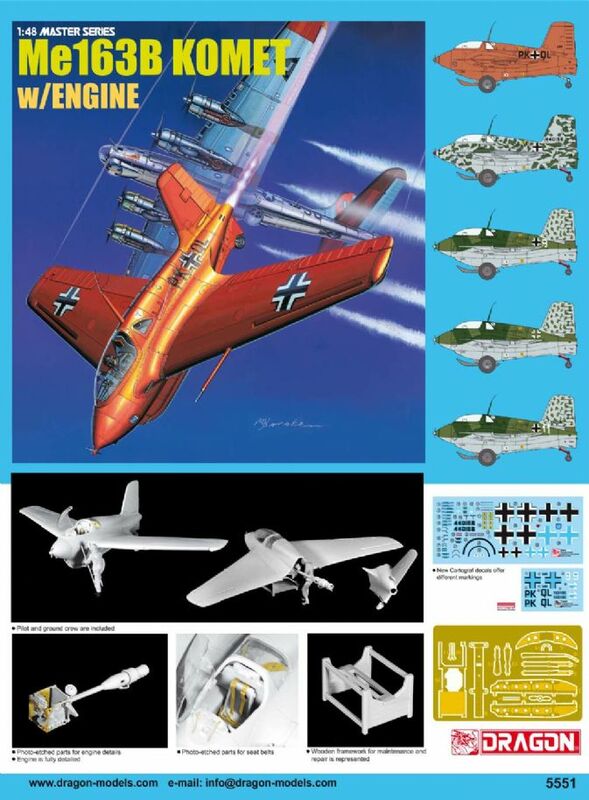 Not only does the kit include a highly detailed replica of the aircraft, but it also boasts a fully detailed HWK 509A-2 rocket engine as well. This means Dragon’s model Komet can be displayed in taxiing and flying modes, as well as in a maintenance scene with the engine exposed. The kit also includes a ground crew and pilot. The Me163 Komet was a German rocket-powered aircraft that took to the skies in WWII. 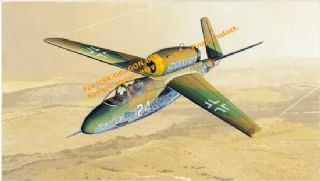 Construction commenced in December 1941, but the first fully armed Me163B was not delivered to an operational squadron until June of 1944. Despite its revolutionary technology, the 279 Komets that were produced only managed to rack up a total of eleven successful attacks. In fact, they were dangerous to fly, with horrifying explosions upon landing not an infrequent occurrence. Only 25% of Me163B aircraft ever saw action.